With liquidity tight, markets are nervous and pressure on authorities is mounting. Many readers will be familiar with the acronym LIBOR (London Inter-Bank Offered Rate), especially given the recent controversy surrounding allegations of manipulation by various banks trading in the UK’s money markets. 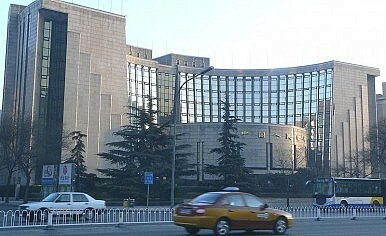 The SHIBOR (Shanghai Interbank Offered Rate) is less important than the LIBOR because it is less linked to the benchmark deposit and lending rates in China (which are set by the State Council), but the various SHIBOR interest rates do both reflect and influence liquidity conditions and cash availability in China’s money markets. Recent trading has seen some dramatic swings in the key rates, and the ongoing market conditions provide good reason to take a deeper look at Chinese economic policy during this key period. As indicators of the cost of money, the SHIBOR interest rates are an interesting reflection of liquidity conditions in China. First some background; it is common for key SHIBOR rates to jump before public holidays (when upcoming halts to trading hinder the smooth flow of cash in the financial system) and at month and quarter ends (because banks face period-based regulatory targets so need to fulfil certain liquidity requirements at these times) as institutions hoard cash. Recent events however, suggest that something new is going on in China’s money markets. Rates began to pick up significantly towards the end of May, and kept rising as China’s short “Dragon boat Festival” drew nearer. As the rates hit big highs, a rumour spread that China Everbright Bank, a midsize lender, had defaulted on an interbank loan due to liquidity tightness. The rumour was denied, but a policy bank (the Agricultural Development Bank – ADBC) then failed to fully place a planned debt issue. After the Dragon Boat festival, the People’s Bank of China (PBoC) did not step in to inject significant liquidity into the money markets, as many had expected (hoped). SHIBOR money market rates remained high, and on Friday of last week, the tightness even affected China’s Ministry of Finance – which failed to place over a third of its planned debt. Expectations for a PBOC “rescue” (liquidity injection) received cold water on Sunday, as a key newspaper linked to the central bank suggested that no action would be forthcoming and blamed the banks’ pain on their own bad practices and liquidity management. Then on Monday of this week (17th June) the overnight rate did fall back somewhat, but other rates, including the 7-day rate, remained high. It is clear that liquidity remains tight, and markets are nervous. As predicted in the weekend newspaper report, Tuesday 18th indeed saw the PBOC take no decisive action during its open-market operations, and now the markets are waiting to see what happens this Thursday. Some are calling for a cut to the Required Reserve Ratio (RRR), which would unleash cash for the banks; others are hoping that the PBOC will inject liquidity into the money markets through its “normal” operations. Either way, what with the MOF and ADBC both failing in their debt auctions and ongoing tightness ahead of month and quarter end, there is definitely something curious going on. It is clear that the PBOC is taking a (somewhat) surprisingly tight stance on China’s liquidity situation, probably to enforce some discipline onto China’s lenders. This is occurring against a backdrop of urgently required economic reform (ending the increasingly ineffective credit-fuelled overinvestment boom in favour of more balanced consumption-driven growth, controlling the liquidity fuelled housing bubble etc) and slowing growth. The PBOC is a key proponent of financial and economic reforms but has been stuck trapped in the wider government’s dilemma between falling growth and failing rebalancing for years. As the government tried to rein in lending after the monetary flood in 2009/10, banks and other financial institutions turned to the less regulated “shadow banking” areas, as Pacific Money covered last year. Cracking down on shadow banking has proven just as difficult, with an impressive array of products and methods being created to avoid the regulators. Now “shadow banking” is considered a large and immediate worry, as Fitch’s top China expert Charlene Chu has been loudly signalling. Ultimately the failure to rein in credit, whether in the formal or “shadow” banking areas, has actually been due to a lack of government willingness to face the inevitable consequence of doing so – slower growth. Now China’s economy is slowing again as credit and liquidity are tightened, and pressures are building. The immediate issues seem to be emerging in the money markets, and it is here where the calls for yet another “loosening” are now being heard. For now rates remain high, and the calls for the PBOC to act are getting louder. The PBOC seems to be sticking to its tough line. Whether this is a vote of confidence in the strength of the wider economy or an ongoing attempt to affect genuine reform remains to be seen. With the Ministry of Finance failing a debt auction, and growth slowing despite the mini credit binge this past winter, there is certainly a lot at stake. Will the government make the PBOC backtrack on its tough stance, or are the “bitter medicine” reformers in the ascendency?